Pearson has agreed to sell its 50% stake in The Economist Group for £469 million, payable in cash. 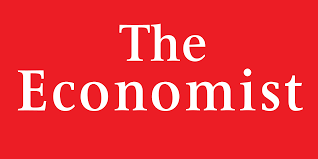 EXOR S.p.A. has agreed to purchase 27.8% of The Economist Group’s Ordinary shares for consideration of £227.5 million and all of the B special shares for consideration of £59.5 million from Pearson. Pearson’s remaining Ordinary shares will be repurchased by The Economist Group for a total consideration of £182 million. The sales comes just weeks Pearson sold the Financial Times to Nikkei for £884 million. The Economist Group is a leading source of analysis on international business and world affairs, delivered through a range of publications and services including: The Economist newspaper, one of the world’s leading weekly business and current affairs publications with a circulation of around 1.6 million; Economist.com; the Economist Intelligence Unit; CQ Roll Call and TVC. Pearson reports its stake in The Economist Group as an associate and includes 50% of its profit after tax in operating income. In 2014, The Economist Group contributed £21 million to Pearson’s operating income and approximately 3 pence to adjusted earnings per share. At 31 December 2014, the carrying value of Pearson’s investment in The Economist Group was £nil. John Elkann, Exor’s chief executive, said: “By increasing our investment in The Economist we are delighted to affirm our role as one of the Group’s long-term supportive shareholders, along with the Cadbury, Layton, Rothschild and Schroder families and other individual stable investors. The transaction is subject to a number of regulatory approvals and to approval by both a 75% majority of The Economist Group shareholders and the group’s independent trustees. The provisions of the City Code on Takeovers and Mergers do not apply to The Economist Newspaper Limited. The transaction is expected to close during the fourth quarter of 2015.